Last week I wrote about a ‘Simple Pattern’ for socks, taken from a book written in the 1800s. I had fun experimenting with this pattern, using rather old yarn from my stash. I made it about 12 rows or so into the body of the leg before I frogged them. This was how the pattern was shaping up – lace panels in between garter stitch. I was happy with it, but this has now taken a back seat. The socks were ripped out so I could free up the needles for vanilla socks. I was at a conference last Thursday and Friday and knew I would want something simple to keep the hands busy while still listening and engaging with what was being presented. These, I must say, are shaping up to be perhaps the most boring socks ever. 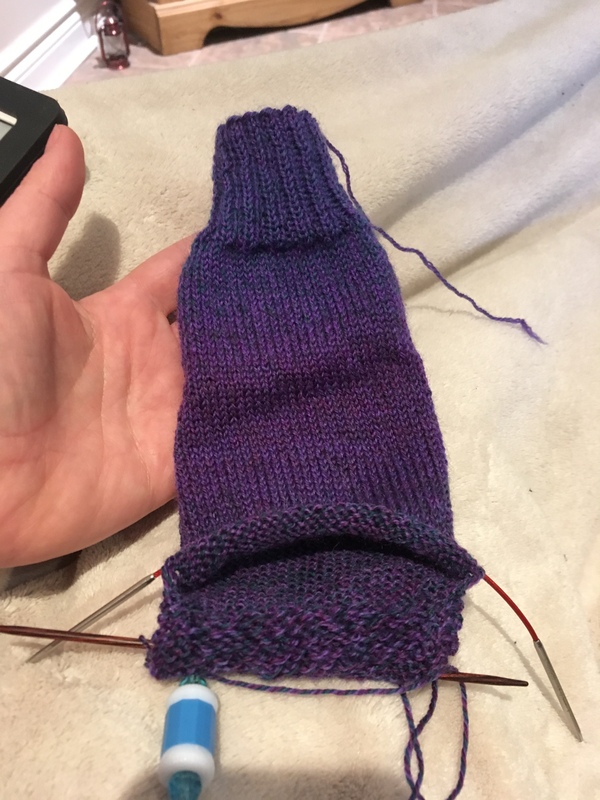 The yarn is slowing fading into different shades; the top has more green with the purple, and the heel looks like it’s doing the same thing. It’s all very subtle, and no texture is making these seem just a little yawn. Again, I dove into the stash for these socks, and really, they are serving their purpose very well, simple, transportable socks that require no thinking at all. Although they are a wee bit boring, there is nothing wrong with that. Socks are socks and they will keep toes warm regardless of the simple yarn. This is where self patterning or self striping yarn shines. 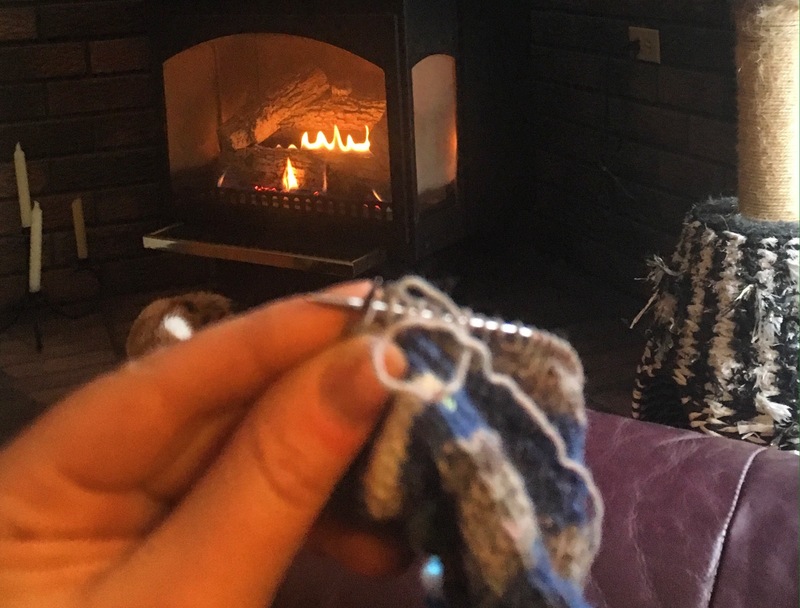 A simple vanilla sock becomes so much more interesting because the yarn is doing all the heavy lifting, the yarn is dazzling while you are simply repeating the knit stitch over and over. While I soldier on with these unremarkable socks, the ‘simple pattern’ is still on my mind, and I have an idea of how I want to tinker with the pattern. Going at this rate, it’s safe to say my toes won’t be cold. Yes, I had a moment where I feared I had too many socks. No, I can’t believe it either. Now, that thought didn’t stay with me long, and I laughed to myself and proceeded knit round after round of a sock in progress. Socks are my go-to project. I always have at least one pair on the go, and often more during holiday-knitting season. Socks can generally be knit with one skein of 100g yarn. One skein, one completed project. It’s great. I have no problem buying skeins upon skeins of sock yarn because I know it can be used for something without fear of running out! Socks are also fabulously transportable. My purse is never complete without a pair of socks tucked inside. Socks can be as simple or complex as you want. There’s a lot of freedom with a pair of socks. There are certain constants: the cuff, leg, heel, foot, and toe, but how will you do the cuff, what pattern will feature on the leg and instep, heel flap or afterthought? So many ways to make a sock your own. Now, if you’ll excuse me, I have socks to knit, and a sock drawer to organize. 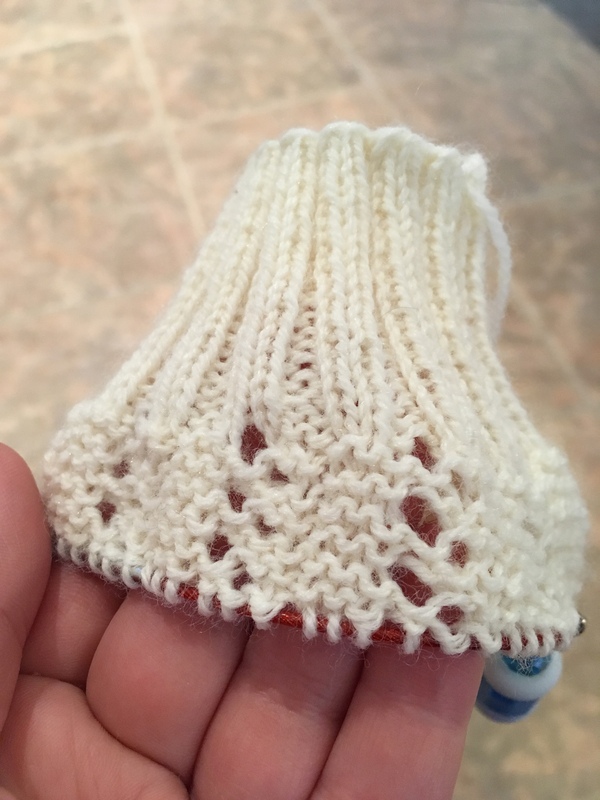 Author LTerechPosted on September 24, 2018 September 27, 2018 Categories KnittingTags knit, Knitting, Sock Knitting, Socks1 Comment on Knit All The Socks.